Keyword research is one of the most important parts of SEO marketing strategy, and online marketing keywords are signals that your customers use when they search online and relevant keywords are used by search engines to provide relevant information. By using effective keyword research tools, you are able to determine what your customers are looking for and rank high in search engines for specific phrases. When your customers go to Google, they ask a question. If you want to drive qualified traffic to your website, then you need to create content that meets the needs of your customers and answers their questions to determine if you are conducting good keyword research. Will the searchers find my site using these keywords to answer their questions? Will this traffic help me reach my business goals? Don’t waste time or resources optimizing your content for keywords that are not relevant to your business, or keywords that your customers are not searching for. It is great to get found in Google for valuable keywords, but if those keywords attract unqualified traffic then you are not going to close many sales. Identify the needs of your audience, and then work backward so you can use keywords to drive traffic to your site and boost conversions! Conduct great keyword research by understanding the needs and questions of your audience. 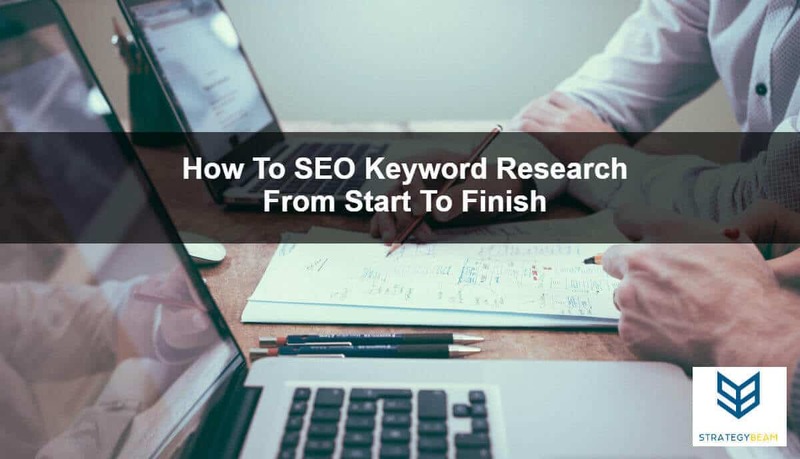 If you are not sure how to do all of this research then you should research the best SEO consultant for your needs and start ranking and closing more sales today! Finding keywords that have lots of search volume is easy, but finding the most valuable keywords requires that you also look at how much competition there is for those terms. The only way to find great keywords is to identify terms that get high search volume and have limited competition. The reason that you want to find SEO keywords with high volume is that you need to drive qualified traffic that is looking for specific terms in search engines. The reason that you want to find keywords with limited competition is that if you are competing against larger companies with millions of dollars and years of content you will likely not rank. Finding the sweet spot between high volume and low competition is the Holy Grail of SEO marketing. You can use a set of tools along with the information that you know about your customers to attract customers who will engage with your content. The goal of this is to build a strategy around the needs and questions of your customers by building great online content that will help build your business! This process could take awhile, but you can use a set of tools to find the best keyword opportunities in three steps. Install keywords everywhere. Once this is installed, you can get a general understanding of your terms. Create a list of keywords that have high search volume and low competition. Use Ahrefs. Take the list of keywords that you have from the previous step. Use the Keyword Explorer tool to identify keywords that are easy to obtain and high search volume so that you could drive qualified traffic to your site. Record keywords that stand out in a spreadsheet and include all metrics like search volume and keyword difficulty. Use LSI Graph. LSI Graph is a free tool that can help you identify other keywords to use in your content. Use seed content with the above steps to guide this process. This process can take some time, but if you fail to identify and optimize content for the best keywords you will waste your time marketing online. You can capture opportunities to interact with your audience by finding what people are searching for and weighing that information against existing content and your competition. As online search continues to change and SEO is no longer about trying to game the system. It’s great to rank for keywords but if you are ranking for the wrong keywords then you will not make the type of money that you want. Google employs thousands of psychologists and engineers to help tune search results to be more in line with the needs of their audience. You can use Semantic Keywords to get your content found and drive more qualified traffic to your content. You will need to balance the needs of your customers, the competitive landscape and the changing algorithms of Google to drive qualified traffic to your site. Semantic Keyword research is a process of finding keywords that are related to each other in meaning rather than keywords that are related linguistically. This type of keyword research is also called Latent Semantic Index keywords, and they can be the cornerstone of our keyword research efforts. Semantic keyword research is all about the intent of your audience and understanding what your customers are looking for. With this information, you will be able to create content around their needs and questions. When using LSI Keywords don’t focus on search engines or ranking, instead of using LSI keywords to address the needs of your human audience. This type of approach is different than many SEO marketing strategies, but the truth is that LSI keywords will help provide context to your content for search engines and your audience. While you should always have a core set of keywords for your content, you should also have a few Semantic Keywords for each page of your site. Think like your customers and includes Semantic Keyword with your website based on what your audience will be searching for. This will help Google understand the context of your content and align your content with the needs of your customers. You can use Semantic Keyword research to identify the intent of your audience at various stages of their search behavior. The needs of your customers change depending on their current stage in the Customer Journey. Identify what terms your customers use to find your products and services. Understand the type of terms and topics that you should use to engage with your audience at different stages of their search. Discover opportunities to optimize your content to improve organic traffic to your site that can lead to more conversions. Inform search engines on the topics of your pages so you can rank higher and SERPs. Align the intent of your audience with your content so you are able to address their needs and answer their questions no matter how they reach your site. While Semantic Keywords are not meant for search engines first, they will help your audience find your content. At the same time, Semantic Keywords are a central piece of an SEO strategy because SEO marketing needs to focus on attracting qualified traffic that will convert on your site. Semantic Keywords are unique because they increase your online footprint with search engines while also honing in on the questions and exact-match search phrases that your customers use when they go to Google. Semantic Keywords are a critical piece of your SEO strategy, and as search engines continue to evolve, you must include these keywords in your online marketing strategy today. What Is Long Tail Keyword Research In SEO? A long tail keyword as a phrase that your customers use when they search for your products or services online. Unlike other types of keywords, long tail keywords are often three or more words in a single phrase. Long tail keywords are the Holy Grail of SEO marketing and keyword research because while they have lower Search Volume, they also have much lower competition. The value of long tail competition is that you are able to corner a specific corner in your niche or market. These types of keywords can help you stand out from your competition, even if your competition has a larger marketing budget or more content than you. Since this type of keyword is more specific than other types of keywords, your customers who use a long tail keyword in their online search are often closer to the purchasing decision. Long tail keywords are a great choice for your business if you are trying to attract customers through mobile online marketing. This is because when people search on their mobile device they tend to use more specific terms. This means that you can increase your mobile traffic with long tail keywords! In both Organic SEO and PPC marketing long tail keywords generate the highest ROI and cost the least to rank for in search engines. Long tail keywords are valuable for your business. If you want to develop content that drives qualified traffic to your site and boost conversions with limited time and resources, focusing on using the right longtail keywords in your content will drive qualified traffic to your site and increase conversions today! What Should You Do After Keyword Research? After you finished researching keywords, you will need to build, optimize content around the terms that you choose. When keywords are used appropriately in your content, you will be able to increase traffic and boost conversions. Here are a few things that you need to do after you conduct keyword research to drive your digital marketing strategy. Don’t make spammy content. Keywords are a great way to tell Google and your readers the purpose of your page but don’t overuse keywords in your content. If you overuse keywords, you will risk making your content sound unnatural and you could get penalized by search engine. Format your content. Use H1, H2, h3, and H4 tags with your keywords to help search engines understand your content and so your readers can find the information that they need. Make good use of anchor texts. Create internal links between your content using anchor text that will have descriptive keywords in each of them for your pages that you were pointing to. Building strong links between your content will help Google and your readers understand your content. Use Your keyword research as a foundation for your entire content strategy today.